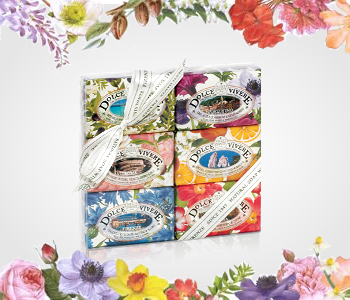 Take a trip around an ancient Italian landscape with the Nesti Dante Dolce Vivere soap collection, a range of pampering soaps that capture the beauty of the country, both rugged and refined. From the intricate architecture of Roma to the otherworldly beauty of Lago di Como and its natural lake, Italy is an endless source of inspiration. Crafted from a 100% natural vegetable fat base, the Nesti Dante Dolce Vivere soaps create a moment of pure pleasure every day.